Bristle Size (L x W x H): Approx. 12.60 3.00 2.10/4.96" 1.18" 0.83". 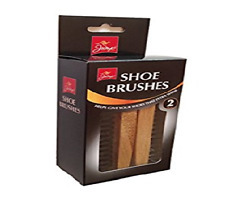 Horse hair shoe brush softer than pig hair shoe brush and plastic shoe brush. 1 Horse Hair Shoe Shine Polish Buffing Brush. Horse hair shoe brush hair length more than the other shoe brush. 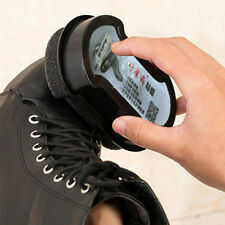 1 xshoe polishing glove. Perfect for leather goods polishing,such as leather shoes,leather bag cleaning. Unique glove design for easy use. 1 wood handle shoe sponge. 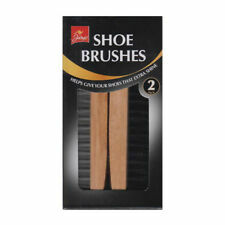 2 wood handle shoe brushes. 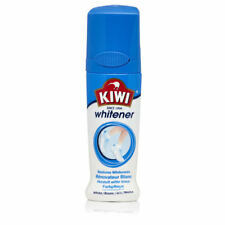 The shoe polish has a gloss finish which is waterproof and nourishes the shoe. 1 polishing cloth (color send it by randomly). need to shine and maintain the look of your shoes. 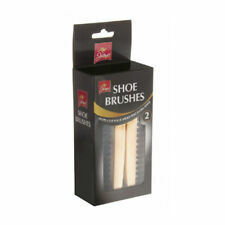 Horse hair shoe brush softer than pig hair shoe brush and plastic shoe brush. Horse hair shoe brush hair length more than the other shoe brush. 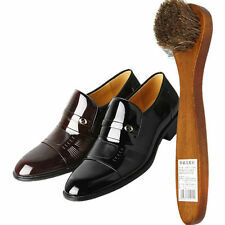 1 Horse Hair Shoe Shine Polish Buffing Brush. Go ash, oiling, polishing ,it is not easy to hurt the leather surface;. Excellent for suede nubuck material boots bags. 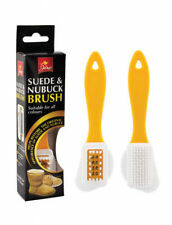 A general purpose brush for the cleaning and polishing of your shoes. Material: Wood and rubber. Wood base, comfortable to hold and work with. Color: White, wood. Power: Max 75W. Hair Type: Pig Hair. Type: Shoe Brush. Brush Material: Plastic. Handle Material: Wood. Plug: EU standard. Owl Boot brush is made out of cast iron. 1 x Owl Boot Brush. Outdoor shoe scraper and brush. Made out of cast iron. Cute Grass Mud Horse Llama Alpaca Sheep Fleece Stuffed Chic Plush Doll Toys - 6A. New Chef Cooking Basket Colander Fry Folds Flat Strainer Net Washable Sieve - 6A. New Funny Japanese Stress Sphere Reliever Anti-stress Human Face Balls Toys - 6A. 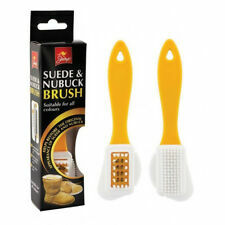 Product use: dance shoes brush, Suede Sole Wire Shoe Brush Cleaners. (1) Material: wood steel wire. To Other Cou ntry. Your cost 87p each. May be used for shoes, handbags, briefcases, luggage and even vehicles. On the front is a pewter emblem and engraveable plaque. These kits make perfect gifts for graduates starting work or people serving in the forces and school children anyone really who takes a pride in their appearance, why not use the free engraving to title the kit examples include "Good luck in your new job" or " Congratulations on your graduation"or "Army Cadets 2016" ". A chance for you to own this genuine hangerworld handcrafted lotus wood valet set in new condition never been used. Long handled clothes brush with pure bristles & matching shoe horn. Premium quality pure horsehair brushes. 100% Natural horsehair. Comfortable in the hand. 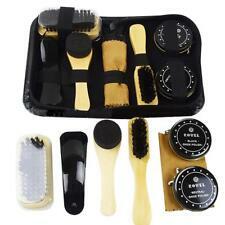 Contains 1 large brush, Black Shoe Polish, Neutral shoe polish, cloth, 1 rectangular head brush, 2 round head brushes. Luxury, large polishing brush from Hewitts. Suitable for use with all leathers. The super-soft horse hair will not scratch even the finest leathers and ensures a high-quality shine. Available in natural hair. Multi Purpose Hand Scrubbing Brush with Handle Ideal For Floors Bath Tub F. Push To Open Touch Release Catch Latch Cabinet Cupboard Doors Pressure Loft FG. Wooden Handled Shoe Brush Boot Leather Wax Polishing Cleaning Extra Shine FG. Horse hair brush Horsehair line luxury, Sciuscià long for maximum shine to the skin without leaving streaks or scoring. brushSHOE CARE luxury model lineSciuscià long hair, wooden handle, varnished. Perfect smooth leather shoe Polish after applying the gloss. Here you?ll find the latest and greatest products. In other words ?. When you order from us, you?ll always get a great product at a great price. Want to get in touch?. on any of our products. HIGH QUALITY. Main Color: As the picture shows. Rate (item arrived). Canada Rate (item arrived) 0.0% 47.1% 31.4% 17.6% 3.9%. Material: Mane wood. Size Approx : 17 3.2 1.5cm, hair length 1.5cm. Main Color: As the picture shows. Item No. : 792192. Cleaning and caring for your boots is essential so that they last for as long as possible. 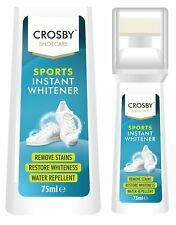 Finally you can buy these products as one single kit giving you everything that you need to care for your boots. A footwear care kit ideal for military use. 1 x pair of black boot laces. 1 x tin of shoe polish. 1 x large shoe brush. 1 x small shoe brush. Material: 1100D polyester PVC coated.